WOW! 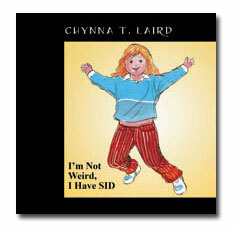 Women On Writing Blog: Chynna Laird, author of I'm Not Weird, I Have SPD, launches her blog tour! Great interview! I love the concept of this book, and it's inspiring to read your story about how this has helped not only your daughter and her classmates but other families as well. Best of luck with all your projects, Chynna, and with those beautiful children! My grandson has SPD and I'd love to read this book! LuAnn, that would be so wonderful. It's a great way to bond, share feelings and talk about it without actually making him feel "On the spot." When I read it to Jaimie, I asked her things like, "HEY! That's happened to you, hasn't it?" or "How do you think Alexandra feels?" or even "Can you think of words Alexandra can use to help people understand?" Of course, it's all age appropriate. You certainly give us a lot to think about. What an inspiration to Mom's who want to write. 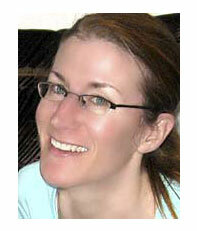 I waited to do much writing until after my last child left home. I encourage others not to wait, just to use little snippets of time that they do have. You have done that. Bravo! Hi Dianne! Thanks for your comment. That's amazing advice about using little snippets of time--squeezing it in when you can. That's what I have to do also. Before my son, Xander, was born, I was guaranteed blocks of time when I could sit and write--naptime, first thing in the morning. But Xander is a terrible sleeper (so is his baby sister, Sophie!) so I now just do things when I can. There are days when I get TONS of writing in and days where I get next to nothing completed but it all balances out. You just have to stay positive and WRITE AROUND LIFE!!! And never, ever give up. I'm so excited for you for your book tour! You'll have a blast! Best of luck on your tour and your book. Oh...thank you SO much Ruth. From you that means so very much. Love your name! Thank you for writing this book. As a parent with a special needs child, more stories like this one needs to be told. It does help. Hi Rachon! Thanks so much for your comment. It warms my heart to know that we're helping to make a difference for some families. I agree with you that more stories need to be told on special needs subjects. And I've always felt that if we want to make a TRUE difference in the world, we should start with children. They WANT to understand...they WANT to learn about new things and they don't see people for just for their differences but honestly WANT to learn about those differences. Kids amaze me. If we tell the stories in a genuine way...from the perspective of a child their age, that understanding will come about and they'll take it with them as they grow. It's sort of helped with Jaimie and, even more importantly, it's helped give her the tools to talk about her SPD herself! I agree with Rachon. We need more stories like this so that people can understand kids with different sensory issues. I know with my son I've been told several times, "He doesn't LOOK autistic." 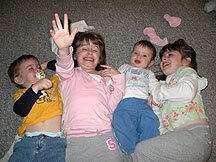 What is autism supposed to look like? It's so easy to think that sensory issues have a certain look or trait, but they don't. Way to go for publishing this book and your progress on all of your other projects! Hi Beth. I know what you mean. I've had many people say, "It doesn't even look like anything is wrong with Jaimie." And I had the same question run through my mind about what exactly SPD is supposed to look like. But you know what? SPD "looks like" Jaimie...and Alexandra in the story...it can be anyone, right? That's why it's so important to have information because knowledge breeds understanding. And THAT is so important. Thanks so much for your comments, Beth.